Before dawn for the next few days you'll see a special treat as two especially bright planets look as though they're about to collide. Venus and Jupiter are lining up in the eastern sky, and Tuesday a crescent moon joins in. "Then the unlit portion of the moon exhibits a real sky-watcher's treat, something we call Earthshine," says Greg Redfern, NASA's solar system ambassador. 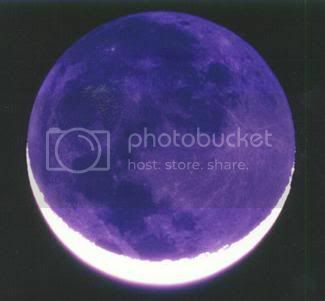 Earthshine is a reflection of sunlight off of the earth's oceans and clouds that shines back into space and falls on the face of the unlit moon. With binoculars you'll be able to see the four main satellites of Jupiter. Jupiter will be just above and to the right of Venus. Redfern says some scholars believe when the convergence happened in 2 B.C. that it created the star of Bethlehem.